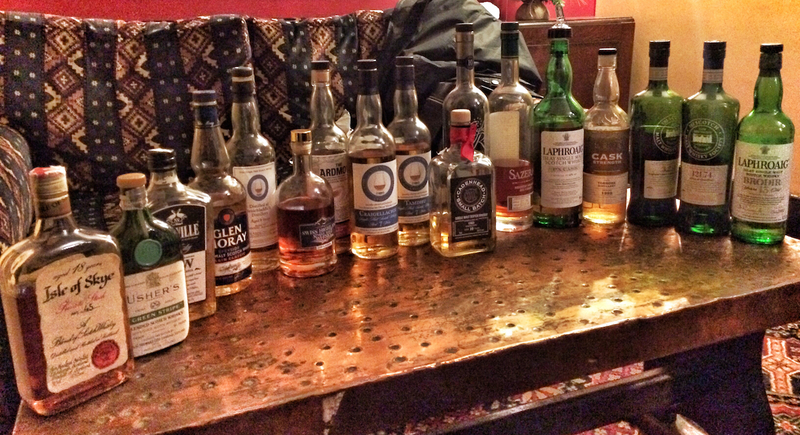 Last night was the last Whisky Squad session of the year. It was the sixth time we gathered the Squad together for a festive tasting, and the schtick was the same as normal – everyone throws in a fiver to go to charity (Shelter this year) and brings along a bottle. We then do a blind tasting. With 18 drams on the mat, even with small measures it’s a bit of a mammoth tasting, but the drams were good, the company better and we were done before closing time. Which counts as a success. This year, we also ran a charity raffle, and Nigel from the Sassenachs Dram Whisky Club in Woking donated us a bottle as the top prize. He also brought along another bottle of the whisky for us to try during the tasting – my whisky advent calendar day #18 dram: Sassenachs Dram Craigellachie 7yo. The Sassenachs Dram is based in Woking and they’ve been going since 2009. Like Whisky Squad, they’re all about sharing whisky and their latest project has been to bottle a few of their own. Along with a cask of Bruichladdich from Whisky Broker, they’ve also done a couple of private bottlings with Adelphi – a Tamdhu and today’s whisky. Nose: Very spirity – the oak hasn’t taken the edges off of this one yet. Sharp apples and apple skin, with some white chocolate sweetness and a bit of damp oak hiding at the back. Taste: Very sweet, with the chocolate from the nose starting things off. It’s hot, as you’d expect, but as you get used to the strength, more is revealed – some green leaves, menthol, and a bit of mint choc chip ice cream. There’s also some char bitterness. Finish: Butter icing fading to white pepper and a bit of mint. Water: This dram quite different with a good slug of water – it can certainly take it. The nose gets much more herbal, with the spirity notes replaced by tarragon and sweet anise. There’s still a bit of apple, but it’s much sweeter, with a more apple saucey character. A few sweet shop elements appear, with pink shrimps and sour chews joined by a bit of sherbert. On the palate, the heat is gone, and the anise from the nose turns into a Sherbet Fountain – fizzy and sharp sherbet, with a darker liquorice background. Sharp apple and youthful spirit appear behind that, along with a bit of buttery pastry. The finish is sharper, with more apples and bit of leafiness before it disappears. Definitely a dram of two halves. 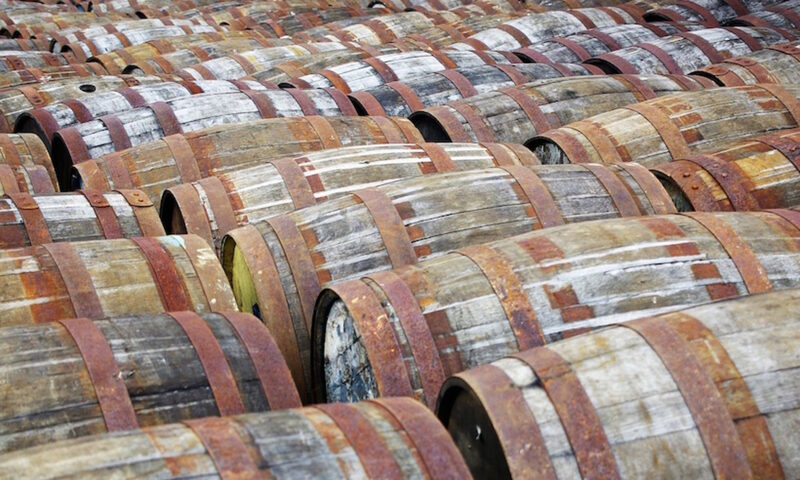 Without water, it’s very typical young, cask-strength spirit – all apple skins and alcohol burn. However, dropped to around 40%, it’s much more interesting, although the palate shows less development than the nose. It’s definitely young, but also very drinkable. Anyways, the evening raised about £200 for Shelter, which ain’t bad.